It’s been quite some time that Windows Operating System Mobiles are in limelight. For obvious reasons, Andriod is the fastest growing Mobile OS across the board. In last few years Nokia was glued to Symbian, Samsung started loving Andriod & Iphone has its own IOS. Which made Windows pitch to be the leader of Mobile OS market slightly weaker. Nokia Lumia & Samsung Omnia could be considered a breath of fresh air for Windows mobile OS. 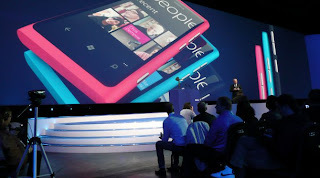 Both the smart phones run on Windows Phone 7 operating system & filled with action packed features. Both the phones look pretty similar in their features and are making people believe again that windows phone OS are still worth. Nokia Lumia adds a coolness quotient with amazing design but Samsung Omnia is an allround smart phone at such a competitive price. However Andriod followers could still feel the apps available for Windows smart phones are not lucrative enough to migrate.